I have been so fortunate as I have been teaching cooking classes at the Calabasas Senior Center (50 and older to join). 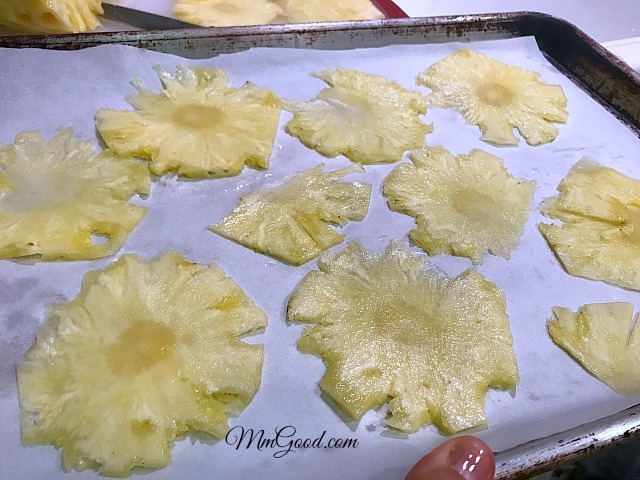 Earlier in the year, the class asked for me to do a “6 Ingredients or Less” demo class, for me, challenging, yet doable. Like all classes, I like to offer 5 recipes, usually an appetizer, 1 or 2 sides, entree and of course dessert. 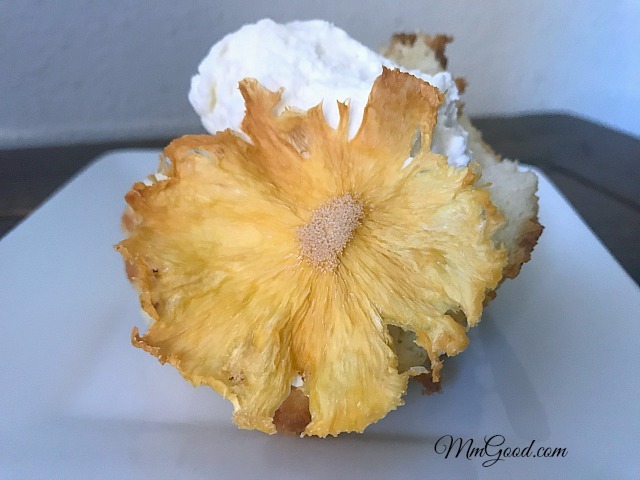 Let’s just skip to the dessert part as I created an amazing pineapple, coconut sponge cake and decided to try the pineapple flower, just to “WOW” everyone…and yes, this is the “WOW” factor! 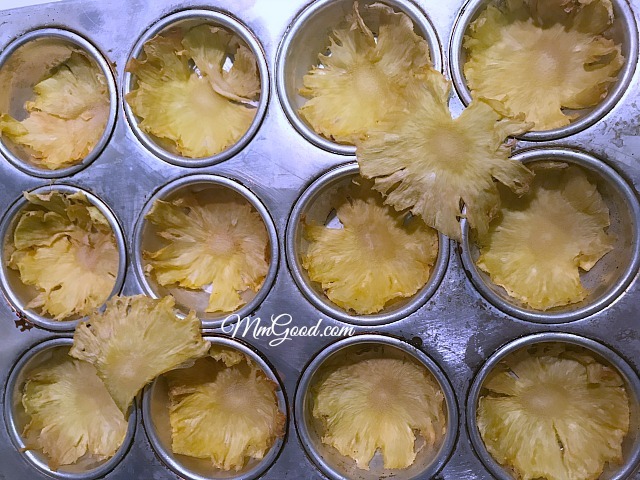 Cool completely, remove from your cupcake tins and look at what you can create! Use as a decoration for cakes, cupcakes, pies or anything your heart desires! 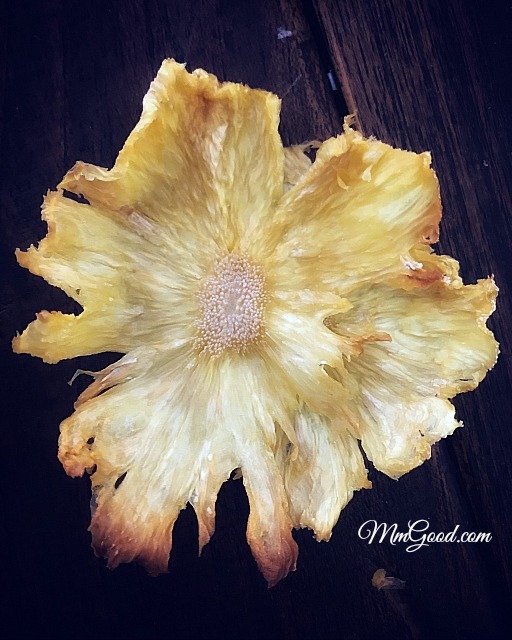 I loved the look and taste of the pineapple flowers and it did take me 2+ hours to make this recipe but for the class or to wow your friends, it would make it all worth my/your wild. 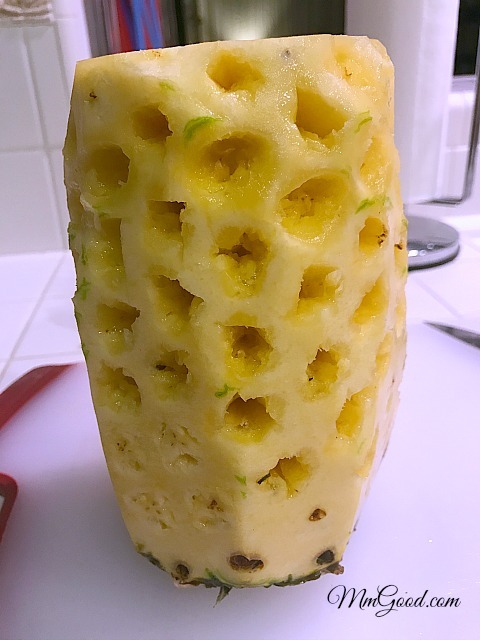 Remove the skin of the pineapple. 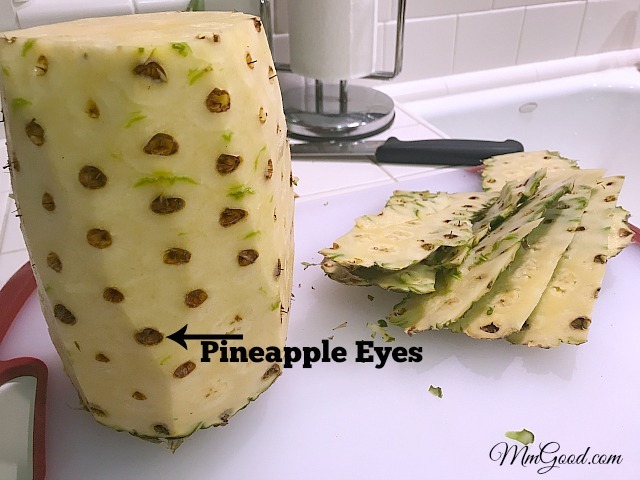 Using a knife remove the "eyes" of the pineapple (this is the little time consuming and important to do). 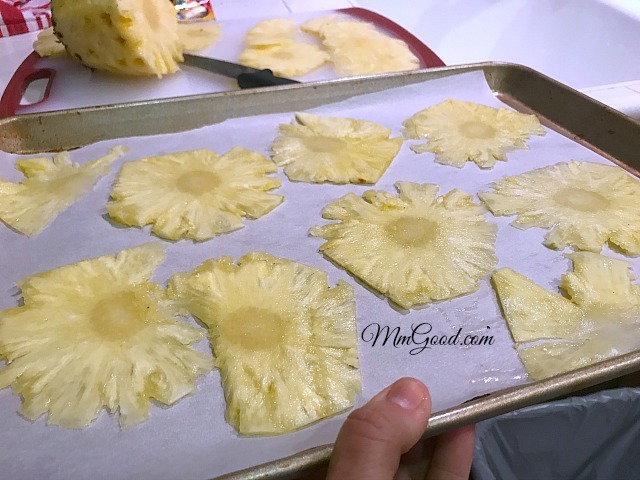 Slice pineapple as thin as you can and place on parchment or silicone. Bake for 30 minutes and flip, bake for an additional 30 minutes. 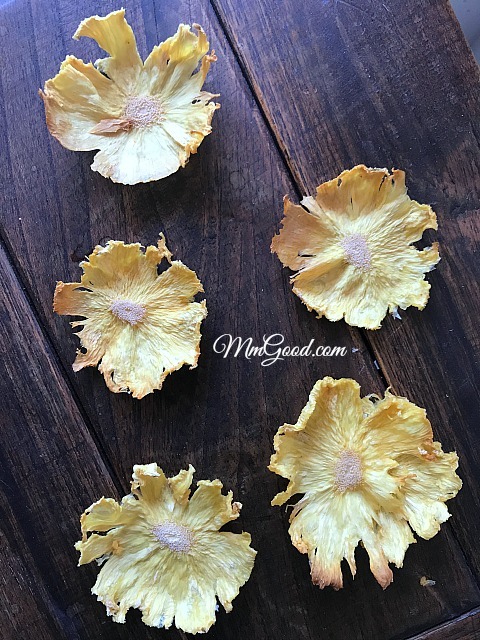 Continue flipping until the "flower" is dehydrated. 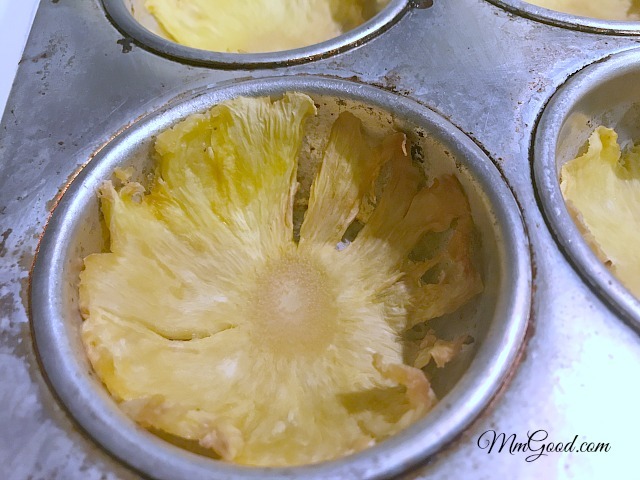 Remove from oven and place the dehydrated pineapple in a cupcake tin (this shapes the pineapple to create the flower). Let it cool completely in the tin. 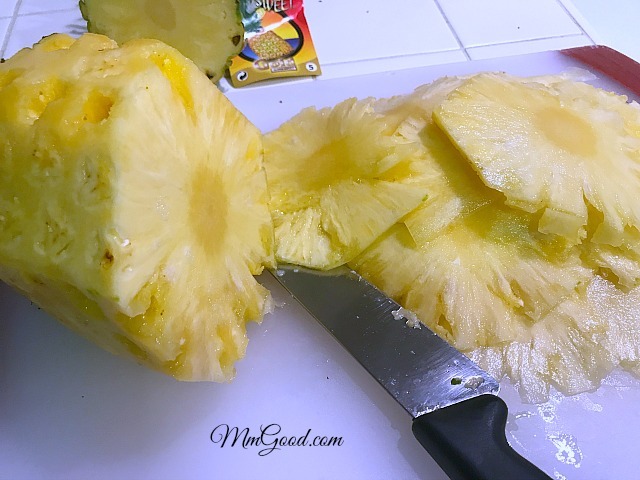 Remove from tin and use on your favorite dessert or just to "WOW" your friends.